Candace Jorgensen (that’s me) has been a music enthusiast since she could move. Beginning with Suzuki piano at the ripe age of three, Jorgensen has continued to add instruments to her life as curiosity and time allows. At eight she found her true calling of cello, but it would take years to finally admit it. During this impressionable age she studied with Carol Work, the late beloved teacher at the University of Nebraska Lincoln and avid Lincoln Symphony player. 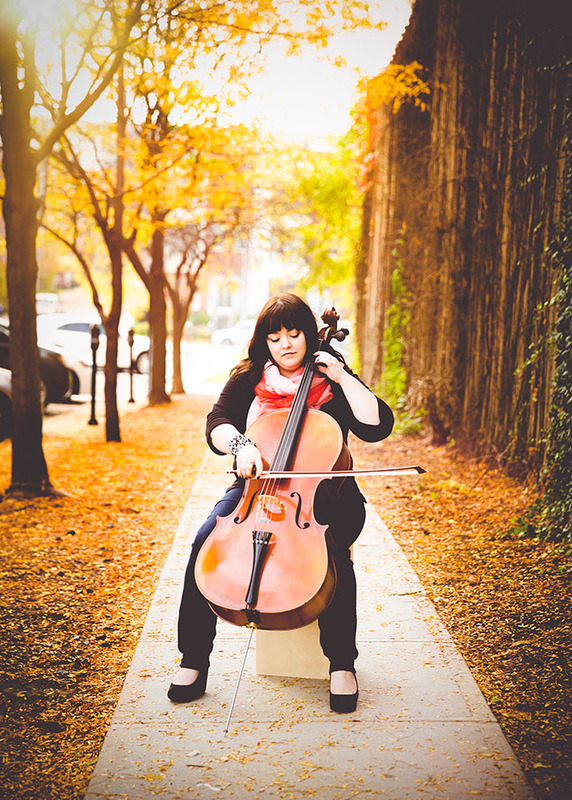 At Doane College and the University of Nebraska – Lincoln, Jorgensen continued to study cello (under the tutelage of Tracy Sands) and education, fascinated by the different teaching techniques needed to reach students while performing every chance she got. (In my downtime I performed in jazz ensembles playing the bass – those callouses were beautiful.) After receiving her BA in Music Education and working on her master’s degree, she decided to marry her beau and move to Hong Kong. While in Asia, Jorgensen taught and explored performing with her cello in local indie bands. After a few years, she and the hubby decided to move back stateside and try the true performers life. (a.k.a. work a desk job and perform at night.) During this time Jorgensen reveled in playing in musicals, which included Last Five Years, the Chicagoland premier of Little Women, and the infamous In My Life. Once the Jorgensen’s reached their fill of Cubs and Blackhawk games, they hopped on cruise ships and performed and worked with the kids all over Europe and Northern Africa. Dozens of countries later, Jorgensen and her husband moved back to Hong Kong to perform and assist in opening the America Vocal Studio. This stint of Hong Kong included learning to teach English through music in various schools and private companies, while Mr. Jorgensen performed in Metro Vocal Group throughout Asia. After years of rice and siu lum boa (and countless anti-frizz serums) the Jorgensen’s decided they had been away from their families long enough and relocated to Omaha and found a home at the Omaha Conservatory of Music. Here Candace happily teaches in her private cello studio, as well as group classes including technique, music theory, and Cello Sprouts program. She is also the Director of Community Programs for the Omaha Conservatory of Music, overseeing any programs occurring outside of OCM’s campus including running the incredible String Sprouts program.